Plastics are being used more and more in the automotive industry to make vehicles safer and more efficient. The average vehicle today is 8% plastic parts by weight and, given that plastic can be up to 50% lighter than alternative materials, this represents a high number of plastic parts. Coatings provide these plastic parts with decorative effects, protection, a soft touch, durability, easy-to-clean qualities, and more, depending on the needs of the substrate. Automotive interior paint gives a vehicle interior’s plastic parts their “feel”, affecting the character and quality of the drive experience, and so automotive companies invest in getting the perfect automotive plastic paint for interiors. 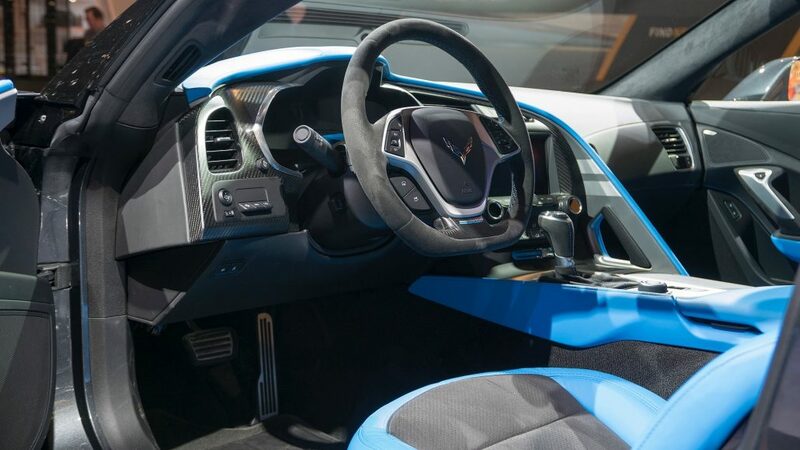 In this article we will look at the range of OEM automotive interior paint for plastic parts and their benefits including soft touch paint for plastic, as well as the automotive plastic coatings manufacturers and companies that supply the industry. Eco-friendly: By using plastic parts, automotive manufacturers are decreasing the overall weight of the vehicle. This increases the fuel efficiency of the vehicle, but also reduced consumption at manufacture. Plastic coating paint is lightweight, low VOC, and low odor, adding to the eco-friendliness of using plastic as an alternative. Abrasion resistant: Vehicle interiors need to be durable and scratch resistant, and automotive interior paint is used to provide these qualities to a substrate and keep them looking shop-new for as long as possible. 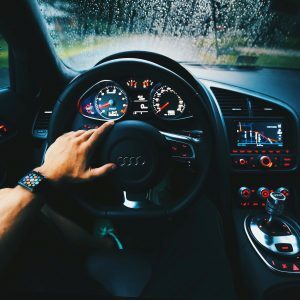 Resistant to weather and thermal cycling: Though automotive interiors may not be directly exposed to UV radiation, weathering resistance is still an important aspect of automotive plastic paint. The plastic coating for cars needs to prevent damage from all the hours of sunlight a car might face in its lifetime, as well as the thermal cycling damage from dealing with temperatures from deepest winter to high summer heat. Aesthetically varied: Naturally, looks are important. Paint for automotive plastic needs to match colors to their surrounds, heighten gloss and color depth, as well as providing different aesthetic effects like matt, pearlescent, metallic, and high gloss. Chemical resistant: Sunscreen, bug spray, oils, cleaners, all of these substances come into contact with vehicle coatings every day. Whether arm rests, mirrors, radio bezels, or steering wheels, without the proper coating chemical substances can cause plastic to stain, discolor, wear, or even bubble. Not all the plastic elements of a car interior are made from the same plastic. The dashboard may be PVC, the door handle EPDM, while other parts may be another plastic type, and each substrate may have different requirements in terms of preparation or paint formulation. In response to this, there are different kinds of paint for automotive plastic and coating processes for different plastic substrates. A big part of automotive plastic paint systems is formed by polyurethanes which come in 1K or 2K systems (though 2K is far more common), as well as water- and solvent-based varieties. Next to polyurethanes, acrylics are traditionally used. Paints are typically applied in layers, with some variation on a primer/basecoat/topcoat combination; in order to create a soft touch coating on plastic. The purpose of automotive interior paint is to protect plastic parts and give them a soft touch. As with the paint varieties, there are different soft touch paint application methods too. Brush, dip, flow, spray, vacuum metalizing, and in-mold formed coatings are just few of the methods. In-mold coatings involve spraying the inside of a mold with the coating before filling it with plastic and forming the entire part as one piece – coating and all. Energy-curable coatings are another growth area, where UV radiation or visible light is used to cure a coating rather than thermal or evaporative curing. This removes the potential damage to a substrate from heat. “Haptic” means related to the sense of touch and, while it may not be something you often think about, how something feels is an important factor in purchase-making. A plasticky-feeling door handle, a hard armrest – these influence the perception of quality in vehicle interiors. A key area in automotive interior paint is making vehicles feel as good as they look. This soft touch paint for plastic is made of polyurethanes, and provides a surface that is soft, warm, smooth, and pleasant to the touch achieving the goal of automotive interior plastic paint. If you are looking for automotive plastic coatings for interiors in the US then you are in luck: manufacturers like AkzoNobel, PPG and Axalta (DuPont) operate in the country, and for application needs there are local specialists across the country. For more information, or if you have a project that requires automotive plastic coating, get in touch! Our experts are here to help and, in cooperation with our coating partners, we can connect you with a coating solution. Simply take advantage of our 100% free quote service by clicking the “Request a quote” button on the bottom of this page.